The safari specialist is a discerning traveller who has most likely been on safari before and isn't in a rush to tick off the boxes. If you're a safari specialist, the safari itself is more important than where you lay your head after a day in the bush. You'll often prefer more time in each place to let it under your skin, to develop your interests with your guide and to discover the stories behind the animals they live with. Our Safari Specialist selection is about enjoying a slower pace and a good level of exclusivity where you can chase the sighting of a lifetime or let the quiet of the bush soak in. For those who carry more than one lens in their camera bag and have a passion for photography, we recommend adding private activities to give you the time you need for the perfect shot, whether it's a leopard cub or a wattled crane. We recommend tweaking these itineraries to suit your personal needs, whether your mission is to track wild dog across the Linyanti, embrace the sights and sounds of the bush on a private mobile safari or something else entirely. Get in touch and we'll create your perfect safari experience. This safari gets you off the main circuit. You'll explore Moremi and Khwai in-depth with highly-skilled guides in a small group, travelling by vehicle and taking it slow. Continue this specialised safari at Selinda Explorer's with guided walks and the option to paddle along the spillway by canoe. 2016 Rates per person sharing. Seasons vary per package - see detailed itinerary. This safari experience is available at different levels of comfort and pricing. "Our trip with Letaka Safaris is one of the best trips we've ever taken. Between the landscape, the birds, the animals, and most of all, Disho and the crew, we had an amazingly wonderful time. It's certainly something we want to repeat in the future." The camps in the Linyanti's exclusive Kwando concession offer a good old-fashioned wildlife experience and this itinerary gives you four nights to indulge your interests. Not shy of going off road, Kwando guides and trackers go out of their way to find what you're after - be it a hunting pack of wild dog or a shy leopard. Vehicles in these camps don't have canopies, allowing keen photographers to shoot with unobstructed views. "Game viewing at Little Kwara Camp was excellent - we saw denning wild dogs (ten puppies only 3 days out of the den!) and followed two lionesses stalking game through long grass. We wouldn't have thought that the Kwando camps could be so different but they were and so worth the money." This is the quintessential combination of prime game viewing concessions in Botswana's most exclusive areas. Each camp offers fantastic guiding and a diversity of habitats in distinctly different parts of northern Botswana. The only problem is getting space, so book early! 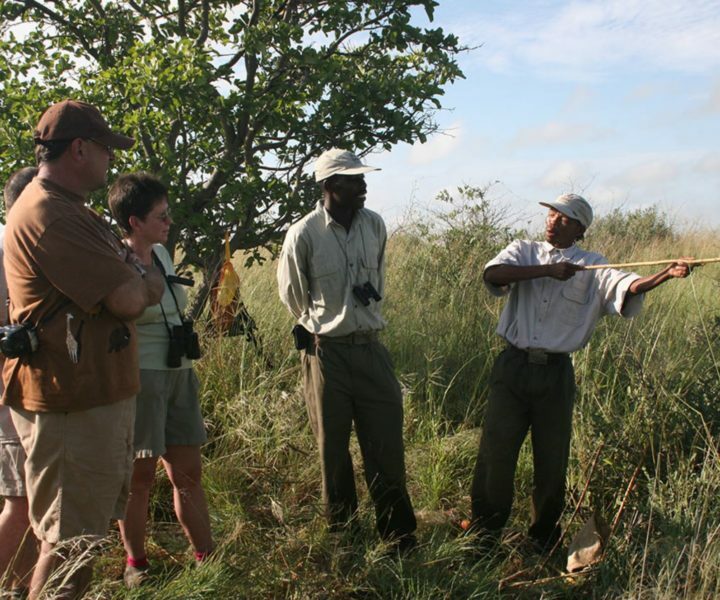 "My guide Ron at Duma Tau was absolutely fantastic, hands down the best guide I've ever had anywhere in Africa. He knew about all the particular animals, their histories and movements and quickly picked up on the things I was interested in." 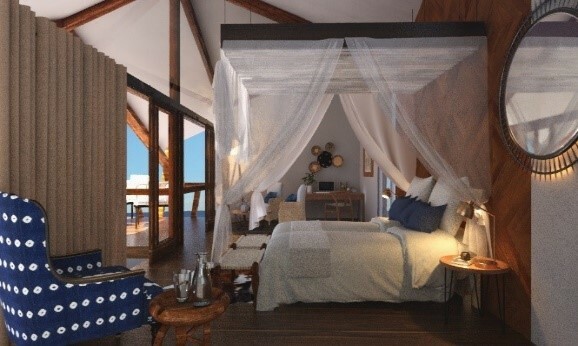 This safari fulfils, exceeds and sets a new level of expectation for decadence in the bush. Fantastic guiding and unbeatable wildlife areas are the draw-cards. Zarafa Camp offers reams of personality and over the top extras - they'll lend you Swarovski HD binoculars, and a Canon DSLR and lens kit, to make sure you capture the detail. Continue to the wildly lavish Vumbura Plains with enough floor space to cartwheel across and wind down at Mombo, Botswana's best concession for wildlife. 2015 Rates per person sharing. "I will say that the premium camps are way over the top of any expectation I had - the ultimate luxury experience. Wow. My wife felt so taken care of by the staff she had to help with dinner one night." If you have Skype installed please click the Skype icon below. A request to open the Skype application will appear. Please note, if you do not have Skype installed the button below will not work. If you do not have Skype installed on your computer you can download it here. Rating a safari camp is not like putting stars on a hotel. This goes beyond how comfortable the room is - it's the service, the guiding and most importantly - the wildlife experience. We've used our expert knowledge and taken everything into account. Chat to us for the lowdown on each of your options.